Welcome to the internet home of the world's finest deck builder, Hodgkiss Construction. When it comes to Custom Deck, Patio roof and Patio projects, we are the absolute best there is period. Being "The World's Finest Deck Builder" is not just a claim we make, but something we prove each and every day in the field. We create far more innovative designs that combined with our highly refined construction techniques put us a level above. We are the absolute best at what we do and we look forward to the opportunity to design and build the project of your dreams. "Great work, excellent attention to detail. A pleasure to work with." "Very creative design and even more importantly a very good builder." 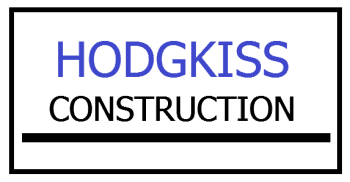 "Hodgkiss Construction are masters of their craft! They have earned my trust and future business."